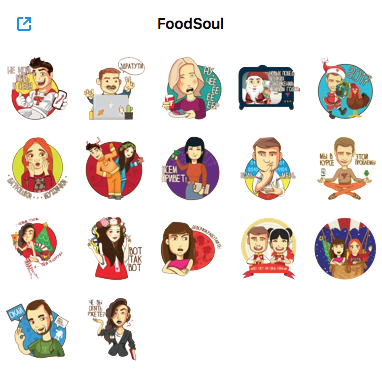 The concept of the FoodSoul company appeared in 2011, when its founder, Dmitry Sukharev, had his own food delivery service. Having had worked in this sphere, he realized that the market lacks affordable offers for professional mobile solution development. A mobile application for just one platform costed more than 150,000 rubles! However, the offered solutions were primitive and had very limited functions. It was quite a large amount for him as a young entrepreneur. The existing conditions led to development of a concept and creation of a breakthrough business idea that had been occupying Dmitry's mind for a long time, and a year after he sold the food delivery business and started creating a team for a start-up. After long and hard working, FoodSoul LLC was registered in November 2013, while our first clients appeared in January 2014. The company founders have never searched for investors or participated in any startup/business accelerators; they did everything by themselves and used only available resources which, we shall mention, were quite limited. The lack of resources forced us provide for a high level of process automation inside the company able to replace work of dozens of employees. The founders managed to get rid of routine work and deal only with improvement of the level of client services and expansion of the service functions. 3 years later, we can state with certainty that FoodSoul company is a leader on this market and provides its clients with the best service. For the whole time of its existence, the company has never used ready template solutions in its products. FoodSoul always seeks to reach an established ideal: to create highly optimized technologies with a high level of security. Having reached such high results now, the company does not stop in its development because a lot of work is stored ahead! You and I live in a very interesting era, a digital era, a period of transition to high technologies. Unfortunately, hardly everyone can afford the know-hows offered by the modern trends, and one of our goals is to break the barrier between business and technologies. We have managed to create a company that follows all market changes immediately and implements quickly new cutting edge technologies. Working together, we will form a symbiosis. Together we will grow and conquer more and more new peaks. It is a key formula of business success and stability. The whole world moves to automation and robotization. It is a world trend, I would even say, it is business evolution in the modern world. Our goal is to help other companies to participate in this process. I emphasize the word 'help' because I consider win-win strategy the only right one. We help you to develop, while you help us to. Let us develop together and make the world a better place! Our team is all that we are! It is hard to imagine the existence of our company without these people; they devote 100% of themselves to our work! Or register at right now and get your applications in 3 business days! Чтобы отправить нам сообщение, используйте контактную форму или позвоните нам по горячей линии.To send a message to us, use the contact form or call us via the hotline.